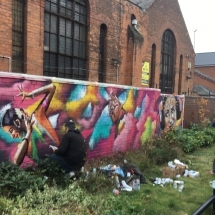 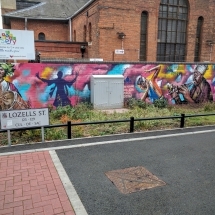 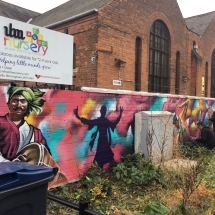 On Saturday, the 29th of October, a new mural was unveiled at the Lozells Methodist Community Centre. 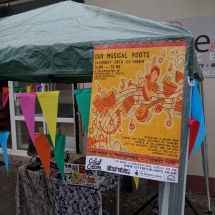 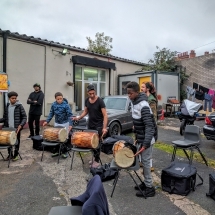 This was the highlight of a four week long series of workshops, where our young people participated and gained knowledge about Birmingham’s South Asian musical heritage (see our last post). 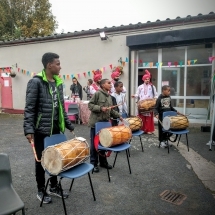 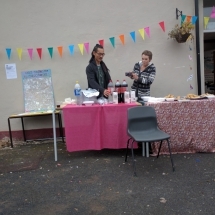 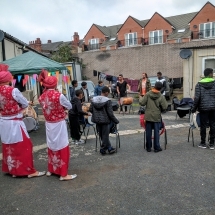 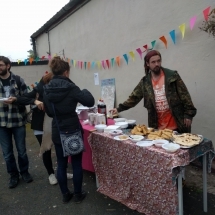 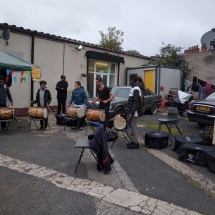 Prior to the unveiling, a short musical event took place at Aspire & Succeed, where there was lots of food, and our young people showed off what they had learnt from the creative sessions. 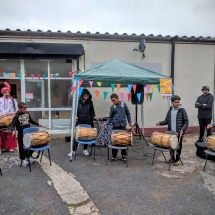 There was singing with a DJ, bhangra dancing; and drumming using, special Asian drums. 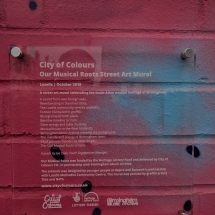 All provided by City of Colours. 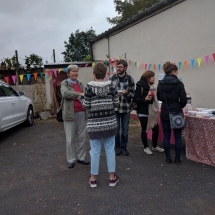 This drew the interest of many community members, who came to join in our banter. 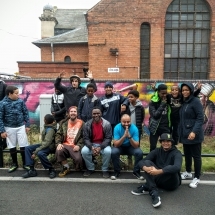 After the fun and performances, the kids were accompanied to the Lozells Methodist Church, to see the mural. 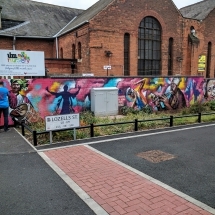 This mural was designed by our youngsters as a reflection of all they had learned and enjoyed in the last few weeks. 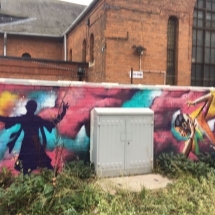 These designs were developed and produced into the large mural on our building’s wall by graffitbytitle and n4t4.